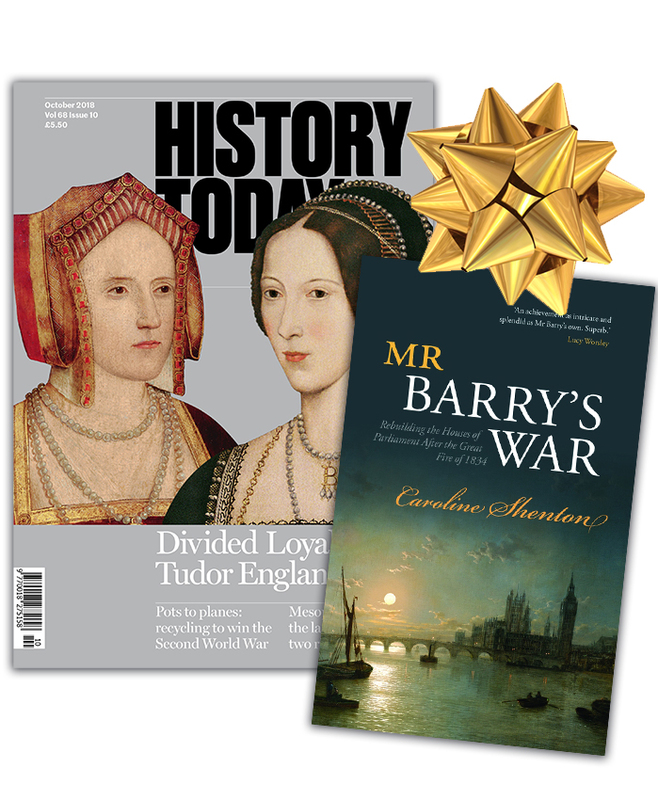 Giving a History Today subscription to your friends and family is the perfect gift – one that simply keeps on giving. Twelve erudite, thoughtful, illuminating, fabulously illustrated magazines delivered direct to their door. FREE copy of Mr Barry’s War, Rebuilding the Houses of Parliament after the Great Fire of 1834. Subscribe now and get a free copy of this timely and extraordinary book – winner of the Daily Telegraph Book of the Year Award – yours to keep or give as a gift! 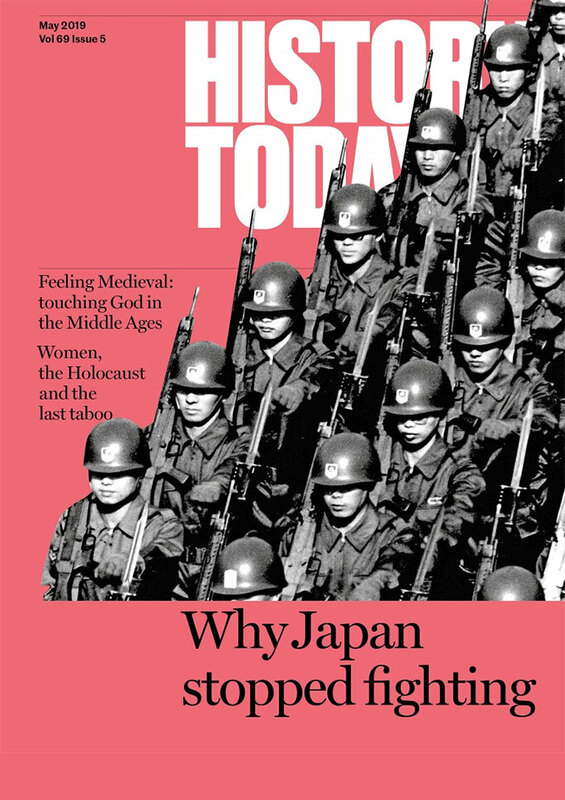 Risk free: If at any point you decide History Today is no longer wanted, we will refund you for all unsent issues. The book is yours to keep. *This offer is for postage to the UK and rest of Europe only. If you wish to subscribe elsewhere please see our offers here.